IBPS Clerk 2018 Result – Institute of Banking Personnel Selection (IBPS) has declared the IBPS Clerk Mains Result 2018 on April 01, 2019. The result has been declared at the official website i.e. at ibps.in. For checking the IBPS Clerk 2018 Result candidates need to mention the login credentials such as registration number / roll number and date of birth and password on the login page. Up to April 30, 2019 candidates will be able to check their IBPS Clerk 2018 Result. The main examination was conducted on January 20, 2019. The Provisional Allotment list released on March 31, 2019. From this page candidates will get full information regarding IBPS Clerk 2018 Result. Latest: The IBPS Clerk Mains Result 2018 and Provisional Allotment list has been declared. Scroll down to access the same. Candidates can only use online mode for checking the result. The banks consider only those candidates who clear the cutoff marks in both preliminary and mains examination of IBPS Clerk 2018. The Schedule for the IBPS Clerk 2018 results is given below. Main Result: Click here to check the IBPS Clerk 2018 Mains Result. 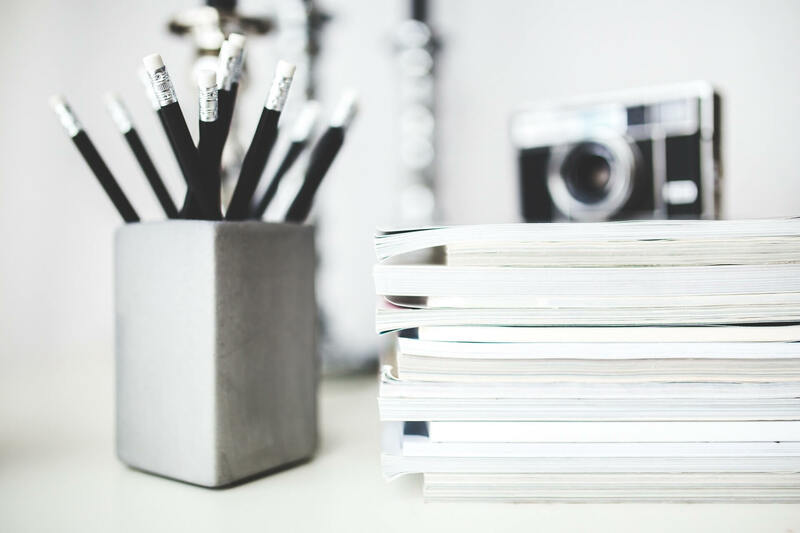 Provisional Allotment List: Click here to check the IBPS Clerk 2018 Provisional Allotment List. Prelims Result: Click here to check the IBPS Clerk 2018 Prelims Result. 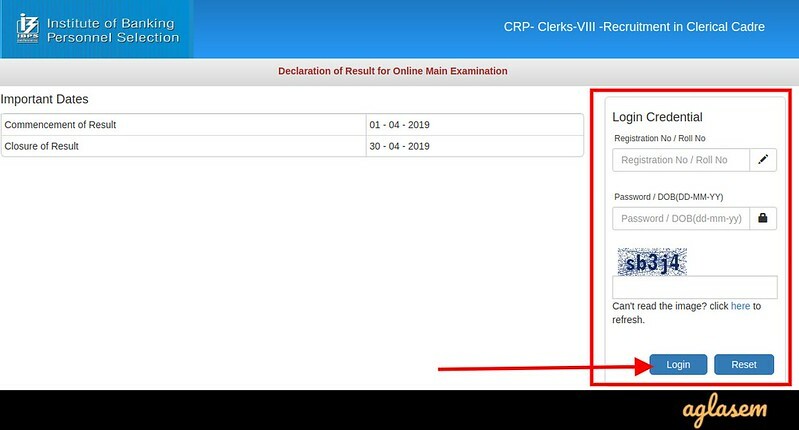 How to Check IBPS Clerk 2018 Result? Candidates who have appeared for the IBPS examinations can check their result. After checking the result candidates should take the print out of it for future reference. candidates are advised to follow the steps given below to check the Results. At first click on the above link, that will redirect to the result page on ibps.in. Thereafter the candidates have to enter the Registration No / Roll No and Password / DOB(DD-MM-YY). After entering the details the result of the candidates will be shown. What after IBPS Clerk Result 2018? 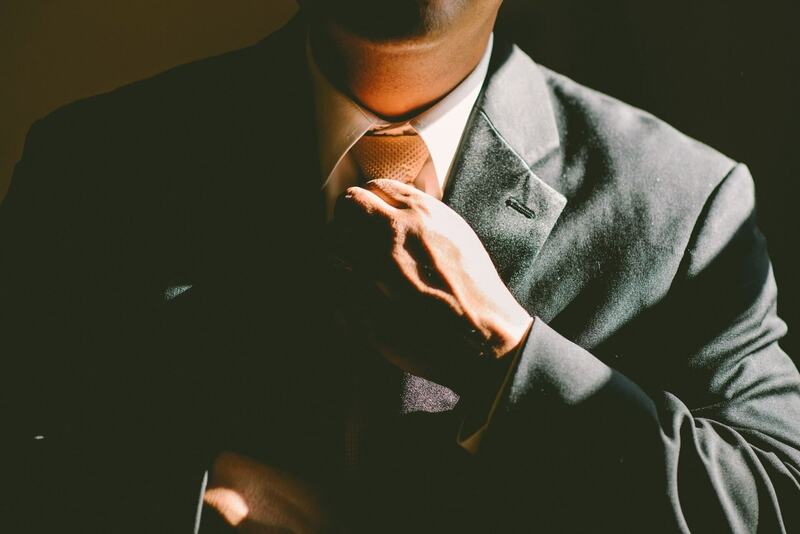 Candidates who have cleared both Preliminary and Mains examination get call letters from different banks. The process after the declaration of results is given below. 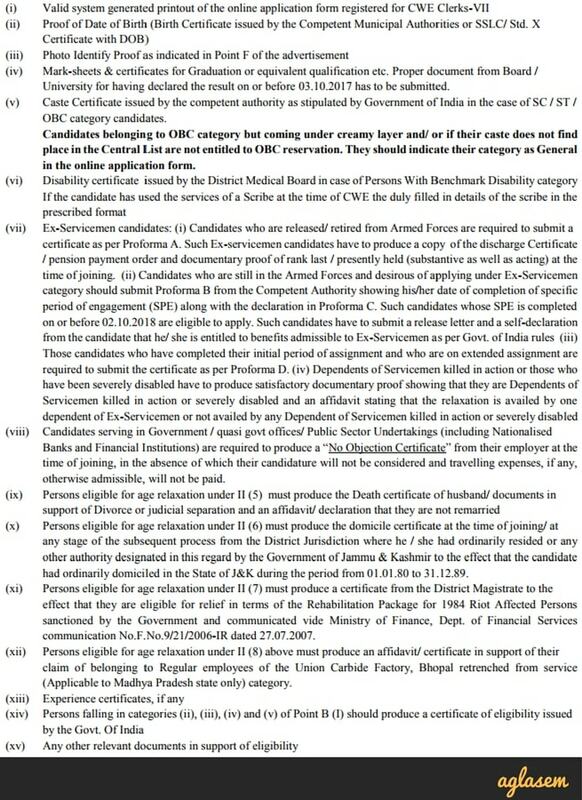 Candidates get a call letter from the bank which offers them provisional allotment. Then candidates will go to the assigned bank for personal reporting and document verification. After that, the bank gives a joining date to candidates. 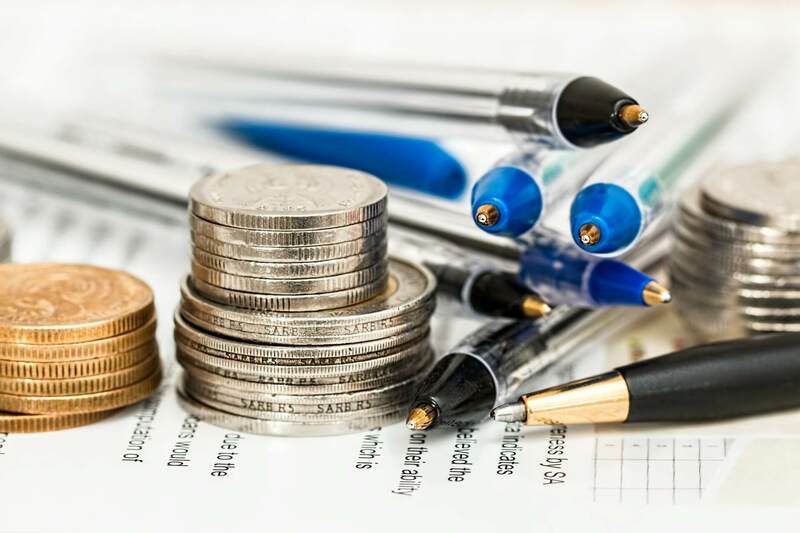 If a candidate joins or accept the joining then the bank will allocate them a branch where they can start their job. Candidates need to submit documents at the time of the joining to the bank allocated to them. The documents which candidates need to submit at the time of joining are given below. 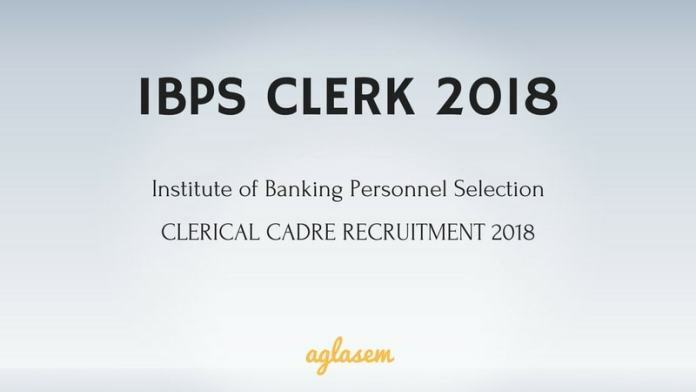 From below candidates can see the name of the banks participating in the IBPS Clerk 2018.